Question: What is the average yearly revenue needed to be a fulltimer? We are curious about costs for things like fuel, RV Maintenance, RV Sites, Food, etc. Answer: Regarding the cost to RV fulltime – there is no “one size fits all” answer. We assume you have read our our page on RV costs. Expenses for the fulltimer really depend on personal preferences and how you want to live. A lot of those sort of expenses are apt to stay the same. You would know better than us how to tweak some of those budget items depending on how you plan to live your RV lifestyle vs. how you live today. As far as utilites go, the electricity, sewer/trash and water bills were gone, since they would be included in camping fees. Our cell phone and internet ended up costing us more because we needed broader coverage, and added family members to our plan. Do not underestimate the cost to maintain the RV – again, this will depend on the type of rig. But it is a hefty item – you have to keep these things in good shape if you want them to last, and you need to budget for unforseen occurrences. Remember too that an RV is a depreciating asset. What we did when we started out is we put together an excel spreadsheet to estimate expenses. We started with our existing budgets and expense records, tweaked them on what we thought would change. Based on the type of rig we planned to have, we did research on what it would cost for insurance, maintenance, fuel. We now use Quicken> to keep track of what we are spending. Thousand Trails, save us money in the long run – but it has a few years pay-back period. We can tell you this – most RVers we talk to agree that you don’t go out to be a fulltime RVer because it will cost you less. But it really does depend on how you live. The RVer who settles in an RV park semi-permanantly with no medical coverage and limited travel can probably live for less than someone with medical coverage, who travels and wants discretionary spending money. We also know that you probably really want a number – we did too when we were starting out. We now realize that it truly is a personal matter. Having said that, and in case it is helpful to other RVers, here is an illustrative view of our expenses for several years. If other RVers have tracked their own average expenses, please let us hear from you! We’d love to share other perspectives. We strongly encourage potential fulltimers to actually write down your current and planned expenses and do the math. And if you are serious about selling house and home, then build a cushion into your estimates, so that you don’t get caught by surprise. 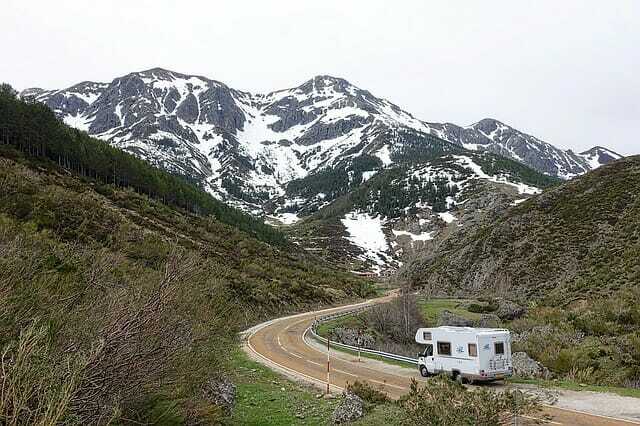 We also think it very worthwhile to join a few RV clubs and try them for a year or two …and then decide. Good Sam and Escapees are good choices for the magazines alone, plus the tips, rallies, support. If you have a motorhome or are thinking of getting one, join FMCA and go to at least one of their conventions. That will get you started. More about RV clubs. Thank you for providing insight and the example of expenses. We are in the planning stages now and all appears doable for our next chapter in life beginning in 2013! Thank you for this article and your 4-year budget chart! I have just recently decided I would like to begin planning and saving to become a full-time RVer, with the ideal goal being to make my first purchase in 9 months. I realize as a first-timer there’s a LOT to consider, research, and budget, but I’m hoping my dream isn’t an unrealistic one given my time frame. This will also give me plenty of time to see if I can in fact keep up a budget, which given I plan to be traveling with just myself and my dog, I expect some upkeep costs to be on the lower end (weight for belongings, food, etc). I’m also an artist who’s business is primarily online, so I can literally work from anywhere as long as I have access to internet and a post office. This chart shows me that with some careful bookkeeping, it’s definitely doable with a little work. Thank you! You’ve given me some hope that this isn’t a crazy idea after all. Just wanted to thank you for taking the time to write this and for sharing your expenses for the past 4 years. We are dreaming and planning to do part-time to fulltime RVing, but couldn’t get a handle on what the cost of maintaining a Rig might be. People would just say, “well it just depends” and we have not been able to get a clear picture. But your expense illustration at least gives us an idea of how we might budget for the expense of upkeep and repairs of the RV. Thanks! Jun 18, 2011 Input on Fulltiming? I just would like some opinions on possibly becoming “fulltime”. My future husband and myself are getting tired of the everyday “routine” lifestlye. We have considered looking into getting a larger type rv, like a Class A and staying in one spot for a year or two and then moving to a new spot. He has a very easy transferable job and I attend college online. We have a couple pets that love being outside and on the road with us for small trips so we know they would love the open life. Is this a possibility or am I just dreaming. We dont rent, and we dont have a home or a payment either. We help his dad live in his home right now but he is going to be going into assisted living. We don’t really have anything tieing us down. Any opinions or thoughts would be great?! Thanks! May 04, 2011 fultime mobile office costs? I’m considering an RV for a mobile office application here in the US and am wondering if anyone else fits this model and can share info on their experiences and expenses. I noticed that Progressive only insures for recreational use and not for if you are doing business out of your vehicle. Any recommendations for insurance company’s and satellite internet providers? Based on comments that our site readers would like to see an example, we have added an illustrative view of our expenses for several years. If you want to share your expenses, please let us know. I think and example would be fabulous, what do I know all I do is work! Thanks for a fantastic site! I agree with the previous comment on Budget Expense Averages. It would be nice to see a spread sheet, for example. I think you make a good point relative to fultimer living expenses. Having said that you might offer an example for the newbees. From your experience you probably know the least, mid and hige end already. Wouldn’t hurt to share this info even though variables do exist and people don’t always follow the plan.